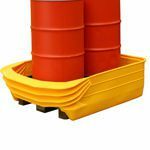 The simple way to convert a standard wooden or plastic pallet to a fully bunded spill pallet. Place pallet into the converter it's ready for use. 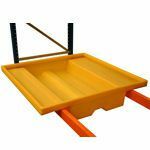 The unique compressible front allows drum pallets to be lowered into the converter by fork lift trucks. 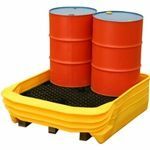 A complete range of equipment to enable safe working with drums of all sizes. All products are produced with materials that are resistant to a wide range of chemicals.